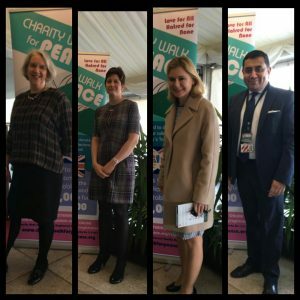 A wide range of charities were present including Action for Children, MacMillan Cancer Support, Mary’s Meals, Humanity First, The Samaritans as well many smaller local charities. The largest donation was £92,590 that went to the Royal British Legion. A special donation was also made to the Metropolitan Police Christmas Tree Appeal with Commander Mac Chishty receiving the cheque on behalf of Commissioner Sir Bernard Hogan-Howe. 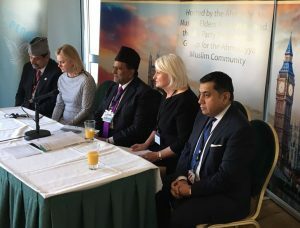 Dr Ijazur Rehman, President of the Ahmadiyya Muslim Elders Association UK (AMEA UK) said, “It was heartening to see the event so well attended by the charities and senior parliamentarians. The Ahmadiyya Muslim Community’s long-standing motto is ‘Love for All, Hatred for None’ and this walk epitomised the very essence of this, where people of different religions and race came together under one umbrella for a common cause of building a better world. Mr Rafiq Hayat, National President of Ahmadiyya Muslim Community UK, stated, “The event is nothing without the amazing work that all these charities do. They turn every penny raised into life changing work to feed the hungry, provide shelter to the homeless and help the poor. 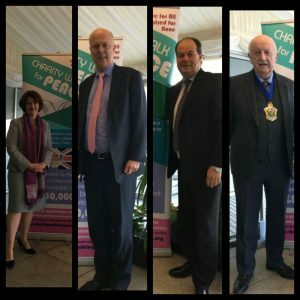 They also help people overcome difficulties in everyday life and this is so important be they the vulnerable, elderly, disabled or facing hardship. 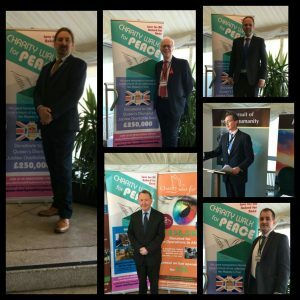 Share the post "‘Charity Walk for Peace’ Debuts in Parliament With Half a Million Pounds in Donations"